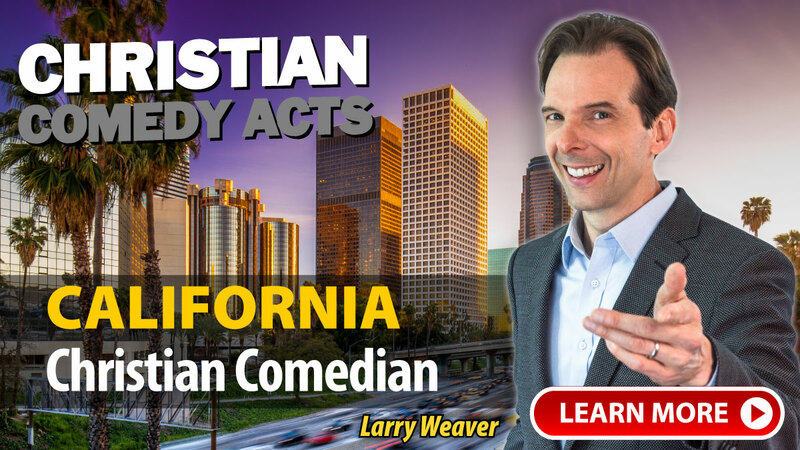 Christian Comedy Acts helps you find local Christian comedians, Christian speakers, Christian magicians, Christian ventriloquists, and top clean comedians in the California area. Find Christian entertainment for your church fundraiser, banquet, outreach or ministry event today. "Two thumbs up! We were very pleased with David Ferrell. He was nice, extremely genuine, and fun. This is our first time having a comedian at this event, and we would use him again without a doubt. Thanks so much." "Lyndy was the right fit for this event. He did not disappoint. He was humble, hilarious, animated, unique and genuine. He really had the room in the palm of his hand - effortlessly bringing the audience from laughter to tears. Lyndy's the real deal. We will not hesitate to refer others to Lyndy for their special events." "Lyndy was a delight to work with! He was very professional and our guests had a great time during his performance!" "We were very pleased with David Ferrell. We had great comments from our attendees, and were delighted to get to know him." A few of the towns these nationally-touring Christian Comedians have performed in include: Anaheim, Azusa, Bakersfield, Colusa, Irvine, Laguna Hills, Los Angeles, Modesto, Ontario, Palm Desert, Palm Springs, Pasadena, Sacramento, Santa Clara, Tustin, CA and others.